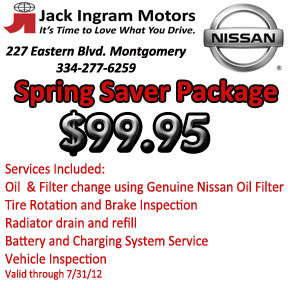 We have new service coupons available on our Jack Ingram Nissan website. Before you come in for your next Nissan service visit be sure to check out our website and Facebook page for service specials, deals to claim and coupons. 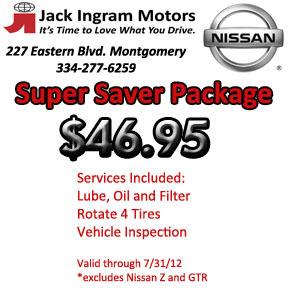 We will continually provide ways to save you money on your vehicle service. 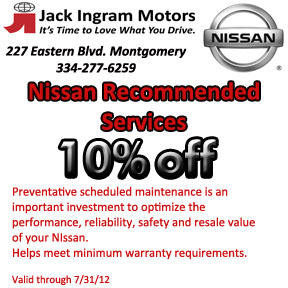 We realize you made a large investment in your Nissan and we want to keep your vehicle performing to its fullest years down the road. 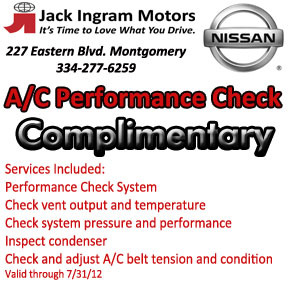 Jack Ingram Nissan service staff is here to serve you. The service department will do its very best to make your appointment and get you in and out as quickly as possible. 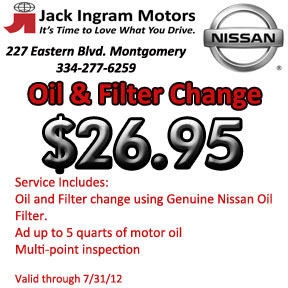 Come to Jack Ingram Motors for your next oil change, tire rotation, or yearly service check up.